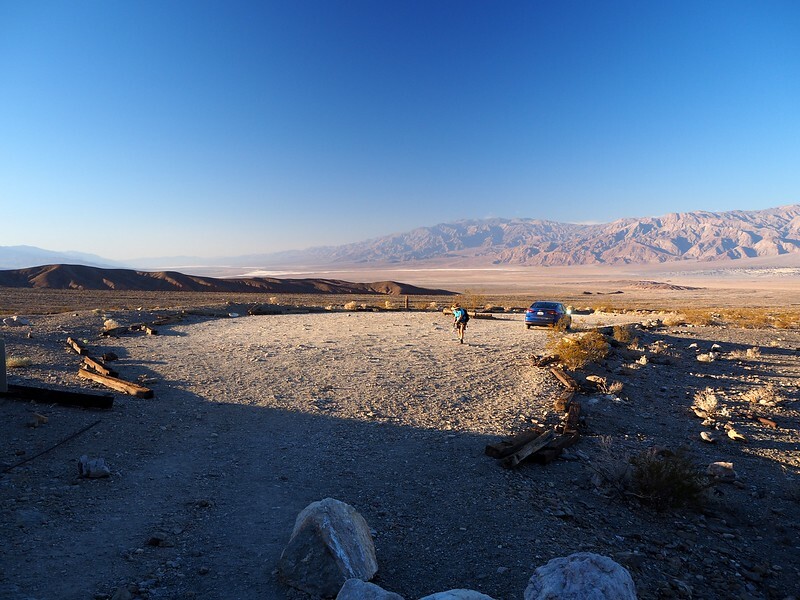 One winter long, long ago, and unbeknownst to either of us, The LovedOne and I camped at Furnace Creek in Death Valley – she with her family, me with a friend. We didn’t discover this coincidence (or was it fate?) until our marriage 20 years later. 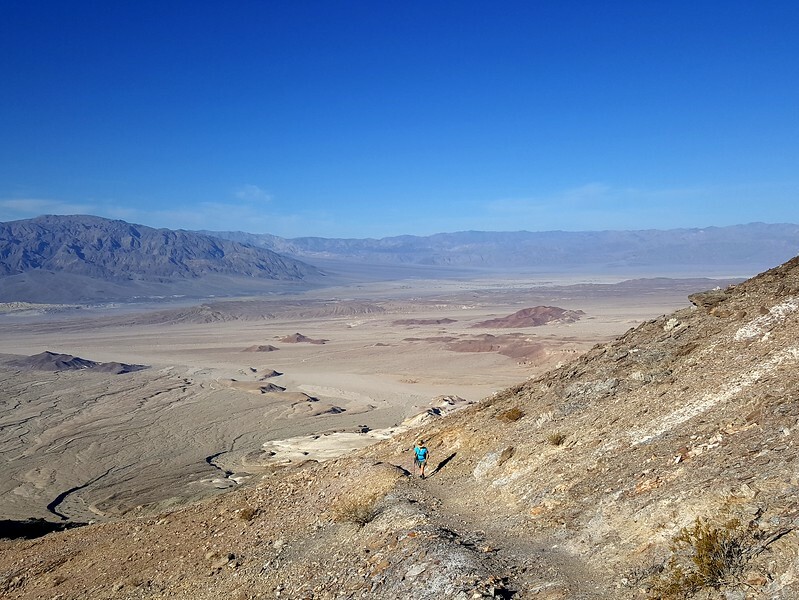 I wrapped myself – in my cheap, inadequate sleeping bag – around a creosote bush for warmth while she huddled with other family members (and warm dog) in their uninsulated and unheated pop-up camper. 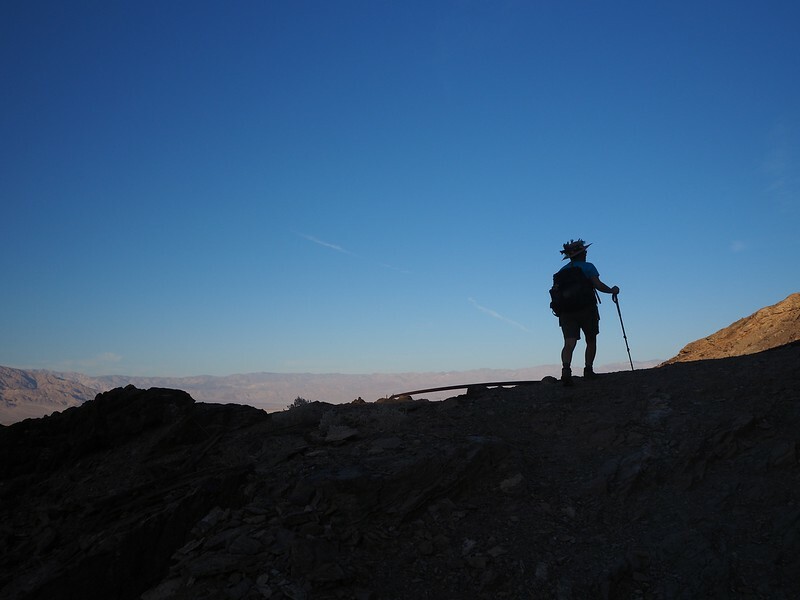 So what we remember most about about our separate desert camping experiences was how terrifically COLD it was at night! 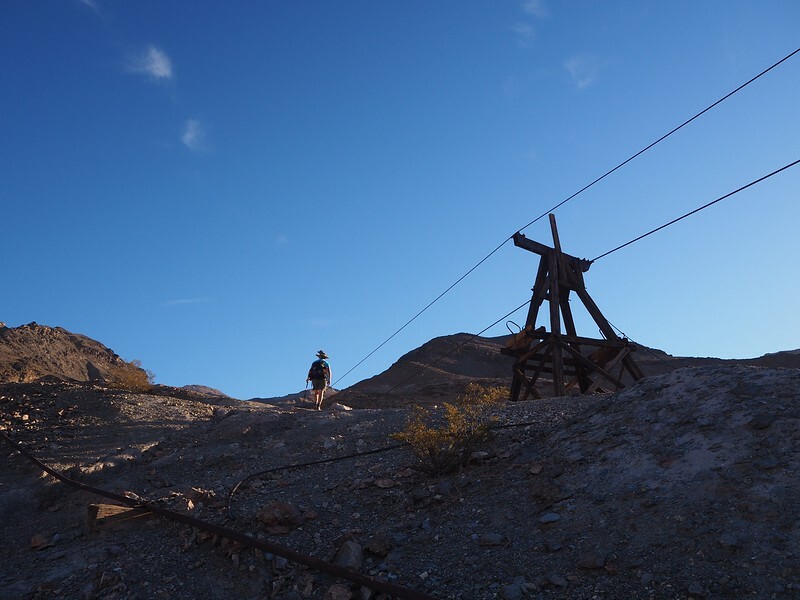 The next day, my friend and I explored the historic Keane Wonder Mine, one of the very few successful mines in the Valley. I always wanted to take The LovedOne to see it but it had been closed for restoration since 2008. 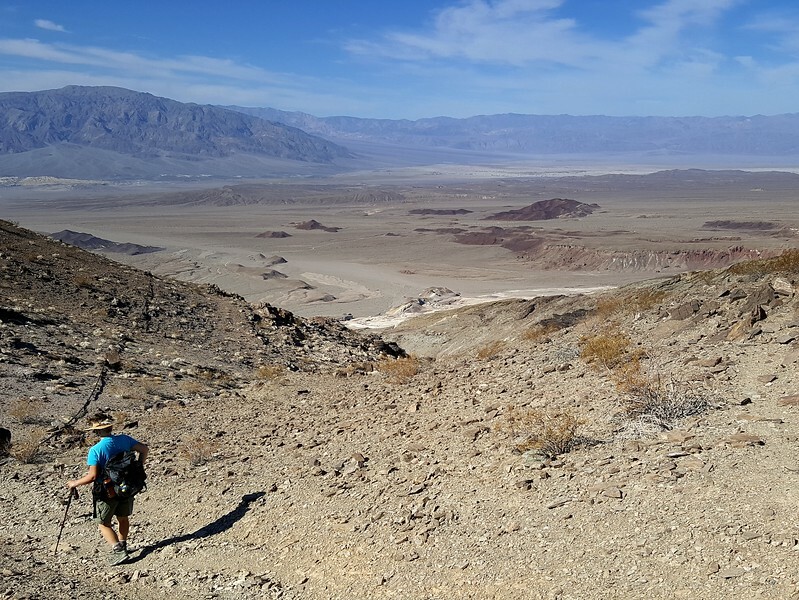 It finally re-opened in late 2017, so we added a few days in Death Valley to our hiking excursion to see Fall colors in the Eastern Sierra. 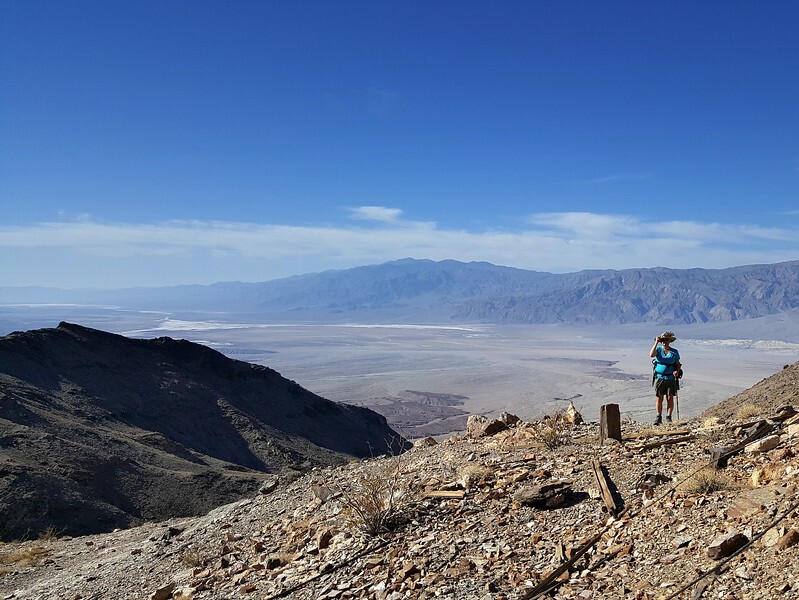 This time around we weren’t plagued by cold – daytime highs were in the triple digits [average temperature was 108º F (42º C)] and it didn’t fall below 70º F (21º C) at night. So we hiked early and sought A/C for the rest of the day. The Keane Wonder operated for only five years (1907 to 1912) before it ran out of profitable gold-bearing ore. 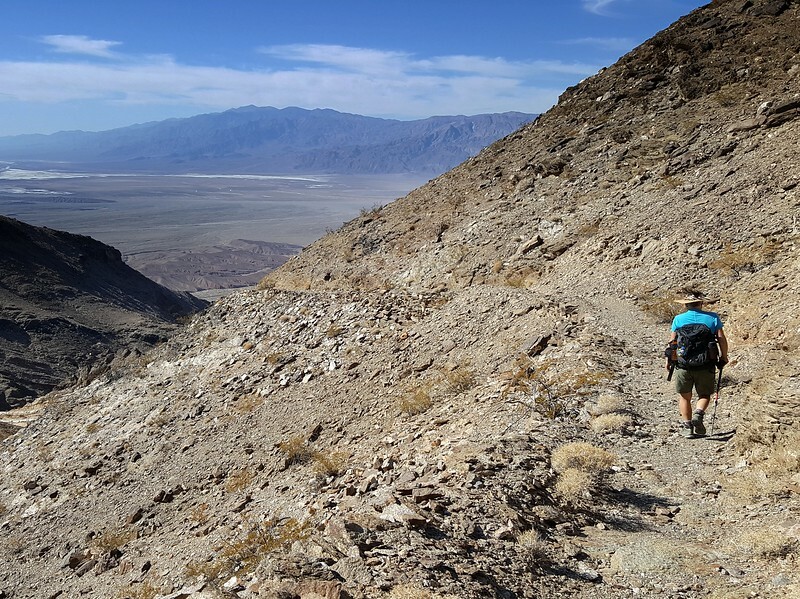 In that short time, several different owners pulled roughly $35,000,000 (at today’s prices) of gold out of the Funeral Mountains. 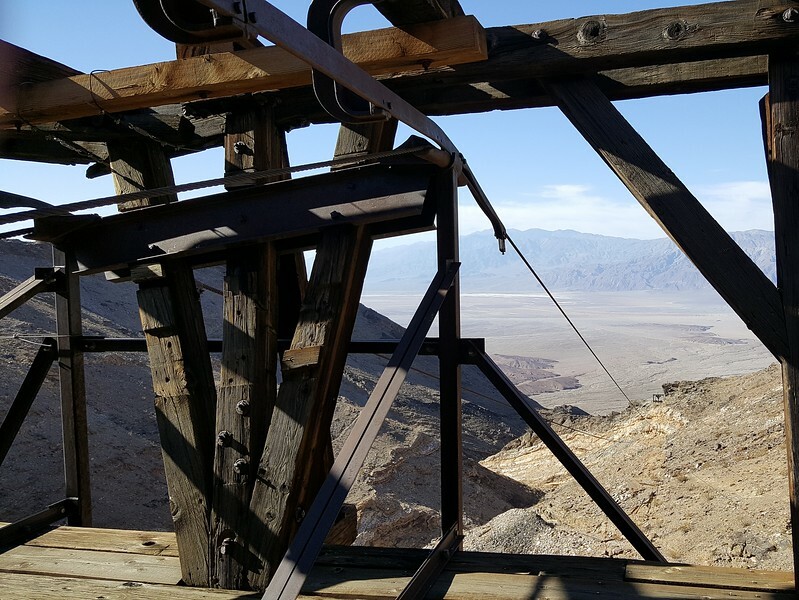 To do so, they built a a mill at the bottom of the mountain and connected it to the mine via a mile-long aerial tramway. They also piped water in from a spring four miles away! 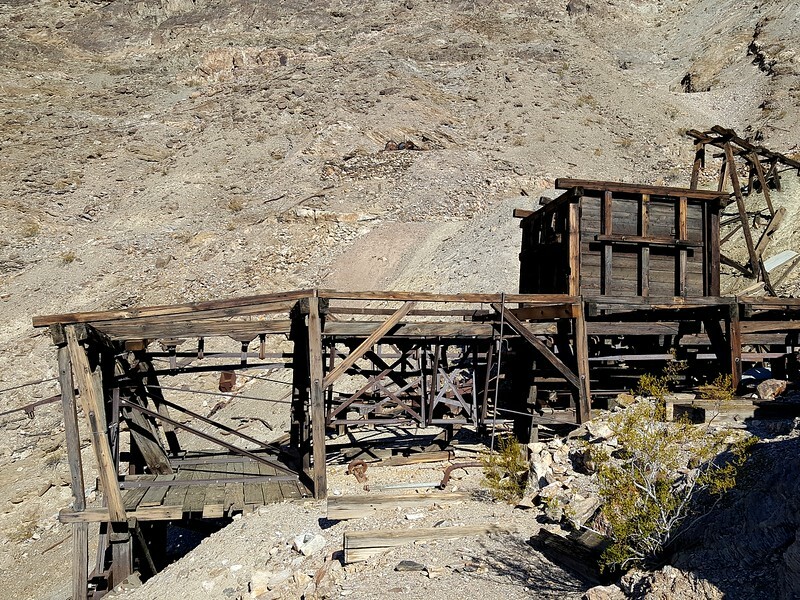 The old mill site is a short distance from the parking area but to see the upper tramway terminal and the old mine, we had to do a steep 1.5 mile, 1,500-foot hike up the mountain. 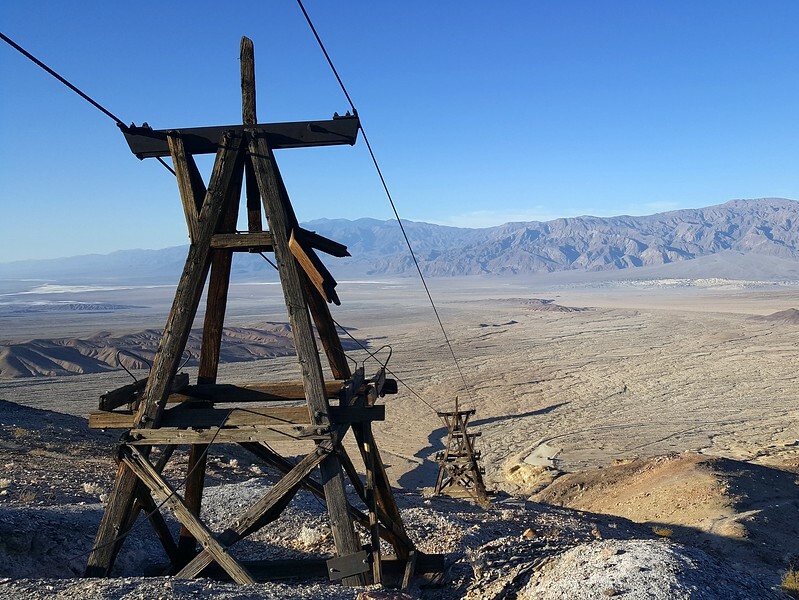 The neatest thing about this hike – beyond the amazing views it offers of the Valley – is the well-preserved tramway, with most of its towers intact, some cables still attached, and one ore bucket hanging in space. 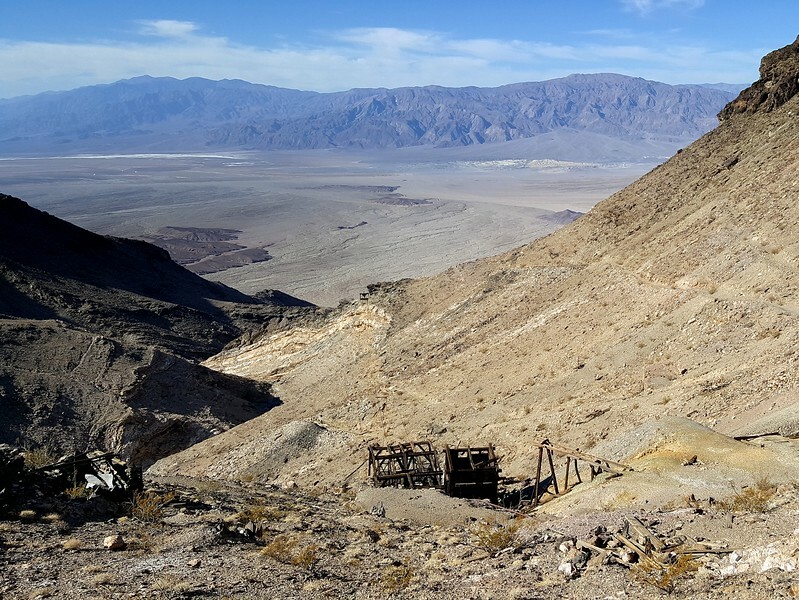 The parking area at the Keane Wonder Mine – no amenities here! 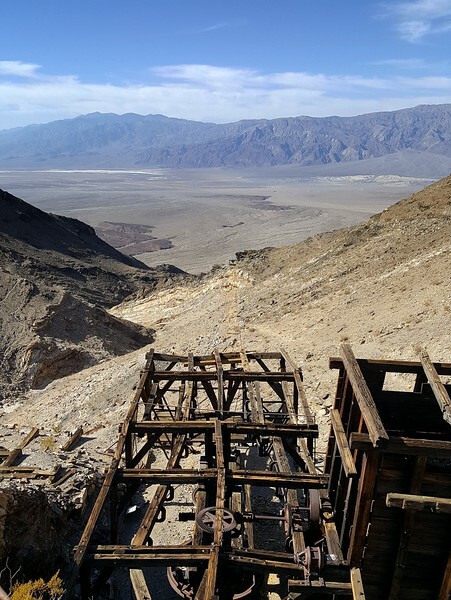 The trail brought us to the upper tramway structure, where ore from the mine further up the mountain was loaded into a hopper (the large box) and funneled from there into the ore buckets. Gravity alone pulled the loaded buckets down and the empty buckets back up. 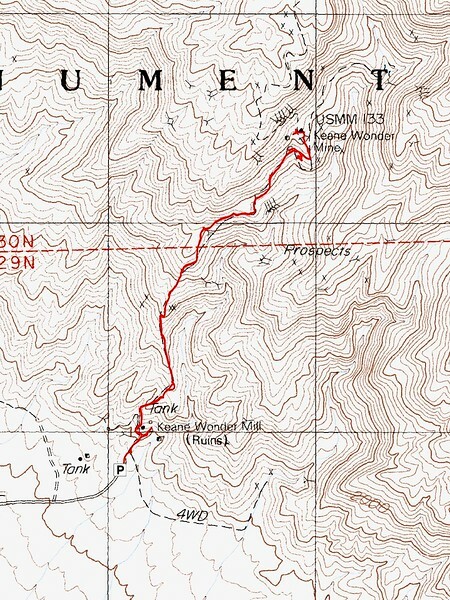 There are stories of particularly bold (or desperate) miners riding the ore buckets up the mountain. 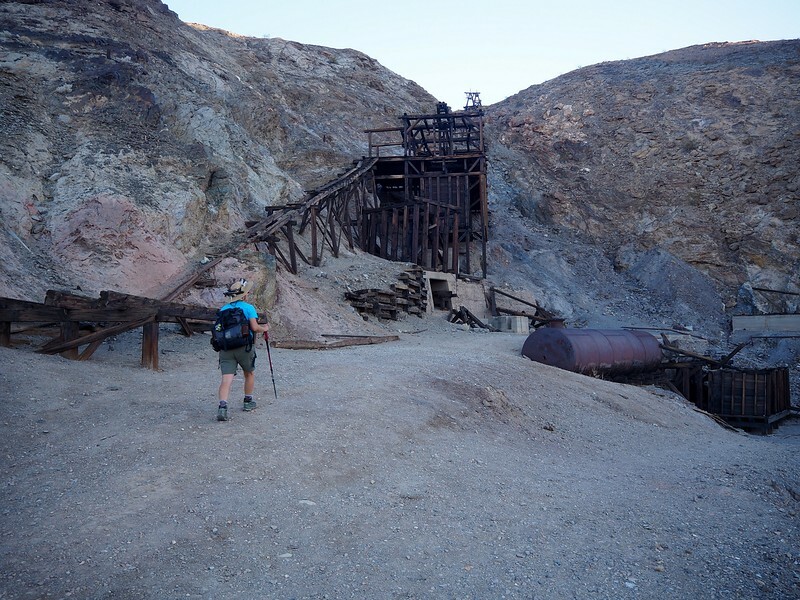 We climbed up toward the mine proper – much of which has now been fenced-off. The view just got better and better. 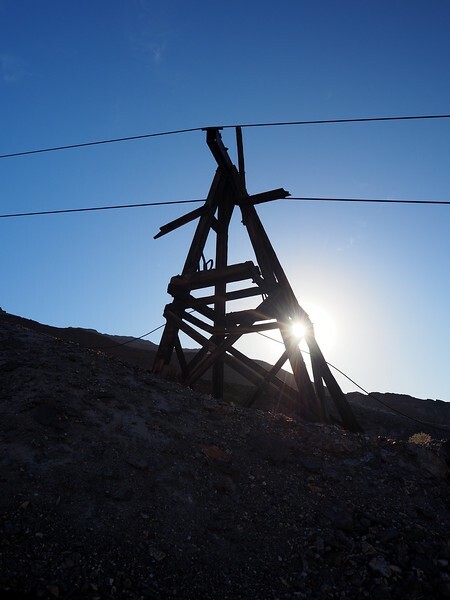 Mining is brutal work – more so in this climate – and we got to wondering if the old miners found some relief and enjoyment in this view (or ever had a chance to do so)? 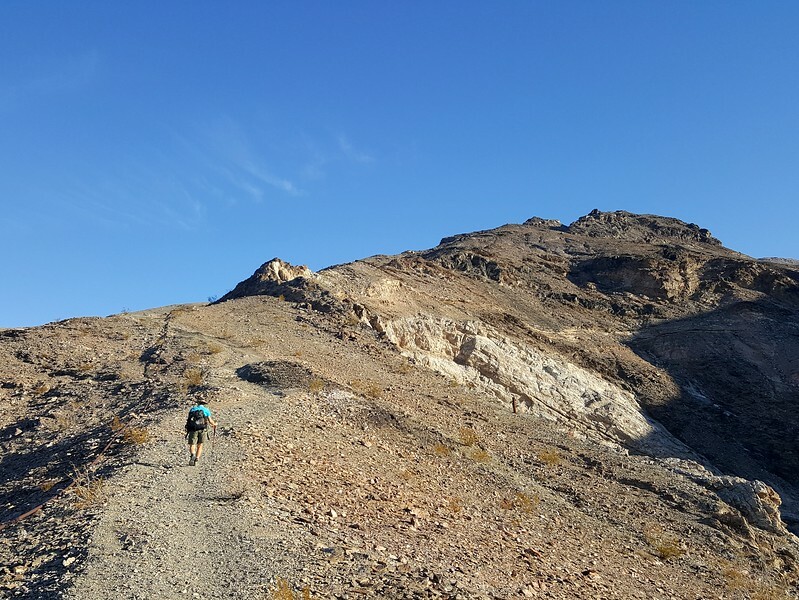 We managed to really enjoy this hike (3.3 miles round-trip; 1,500 feet of elevation gain), drink a gallon of water enroute, and get back to the car before the temperature reached the triple digits!